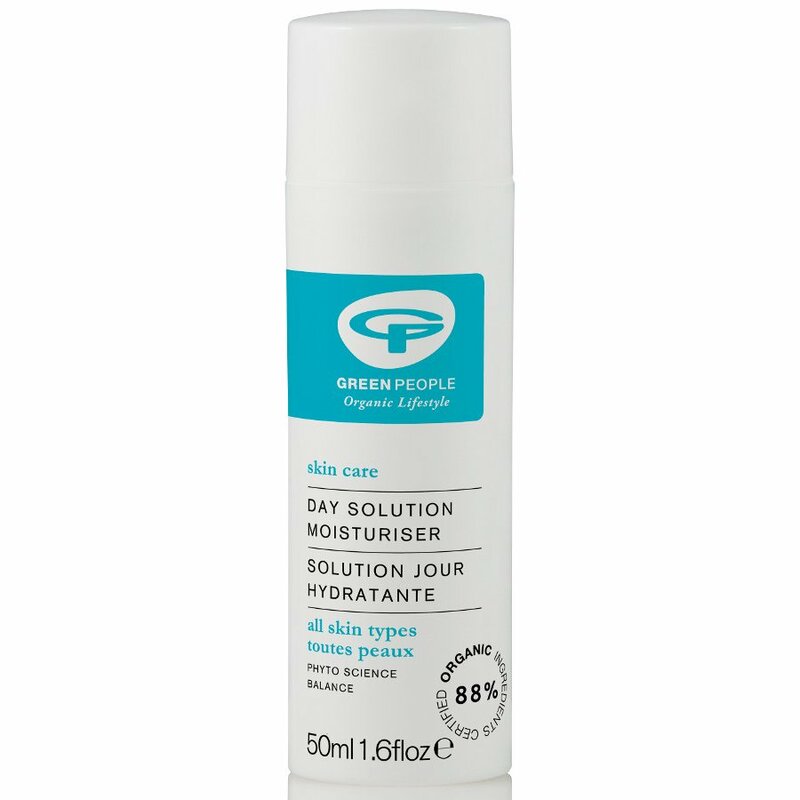 Organic anti-blemish day solution moisturiser from Green People. Ideal for all skin types, this hydrating day cream contains Rose Geranium, Chamomile and Aloe Vera to leave skin soft and supple, whilst the Willow Bark extract, Prebiotics and Pineapple help to tackle any pesky blemishes. Free from Parabens, Lanolin, alcohol (ethyl alcohol, ethanol), artificial perfumes, petrochemicals, phthalates and colourants. 100% certified product, 88% certified organic ingredients. Contains fairly traded ingredients. 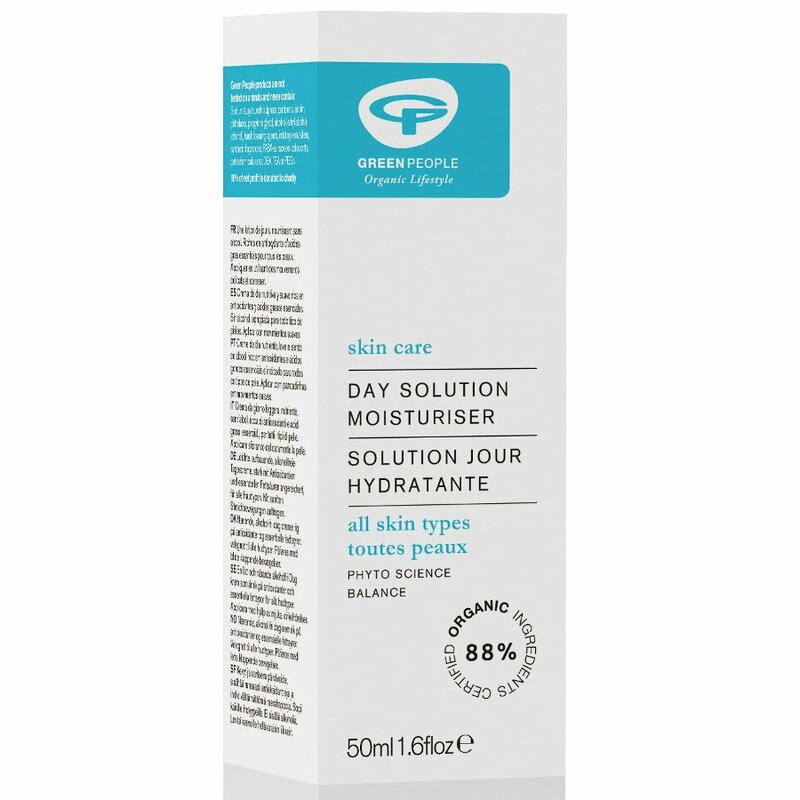 The Green People Day Solution Moisturiser - Anti Blemish - 50ml product ethics are indicated below. To learn more about these product ethics and to see related products, follow the links below. 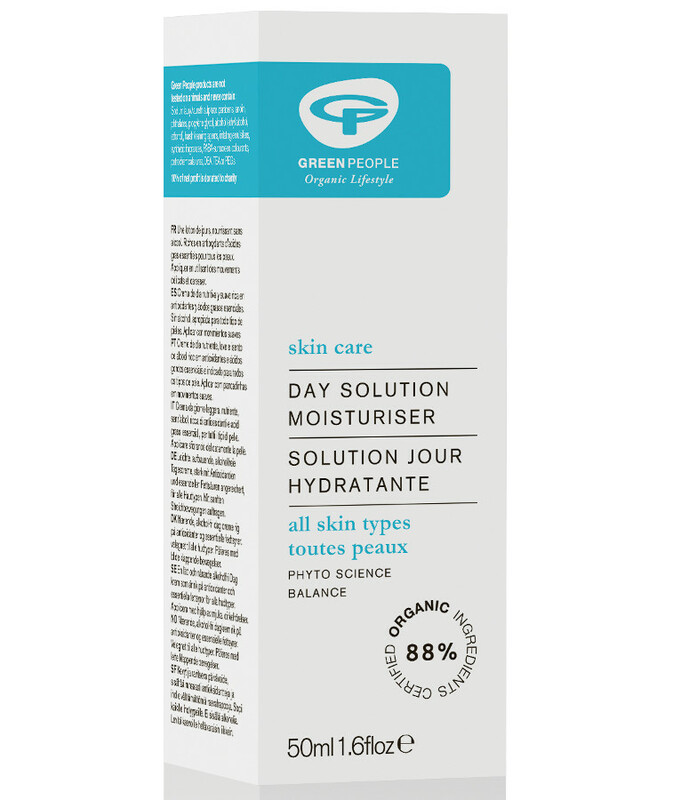 All of my Green people products are brilliant and highly would recommend this product in particular. I have combination skin which tends to have dry patches and can get spotty so this moisturiser has been a god-send! Will most likely use this product along with the green people serum for life! I have now changed my daily moisturiser to this - to be honest I was sceptical that the prebiotics would have much of an effect with blemishes; I don't get breakouts that severely but it's often enough that I didn't think this would change things. *** I like the overall texture and quality of the cream and it really does well on my skin. Fantastic price for this result. I received a free sample of this at a local health food shop, which allowed me 4 uses. I have annoying combination skin which is dry, with oily patches, blemishes and prone to acne on my neck. This did not aggravate my skin at all, it was thick and soothing to all areas of my face and didn't break me out. 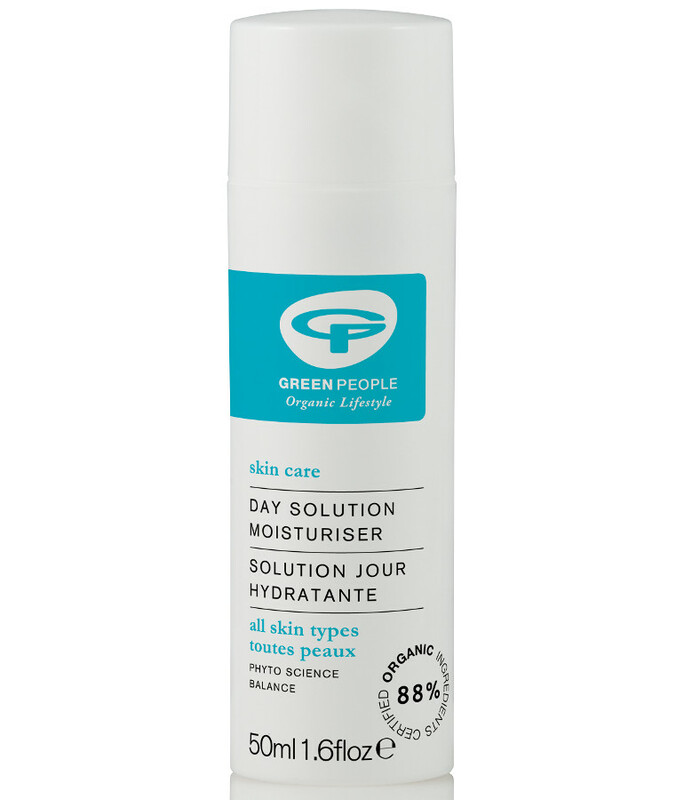 There are currently no questions to display about Green People Day Solution Moisturiser - Anti Blemish - 50ml.